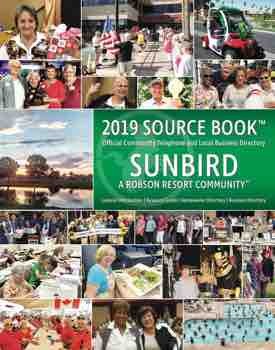 Pictured (left to right) are SunBird Garden Club Weeders Laurie Doyle, Toni Greisiger and Pat Pacelli. Not pictured is Julie Anderson (photographer). 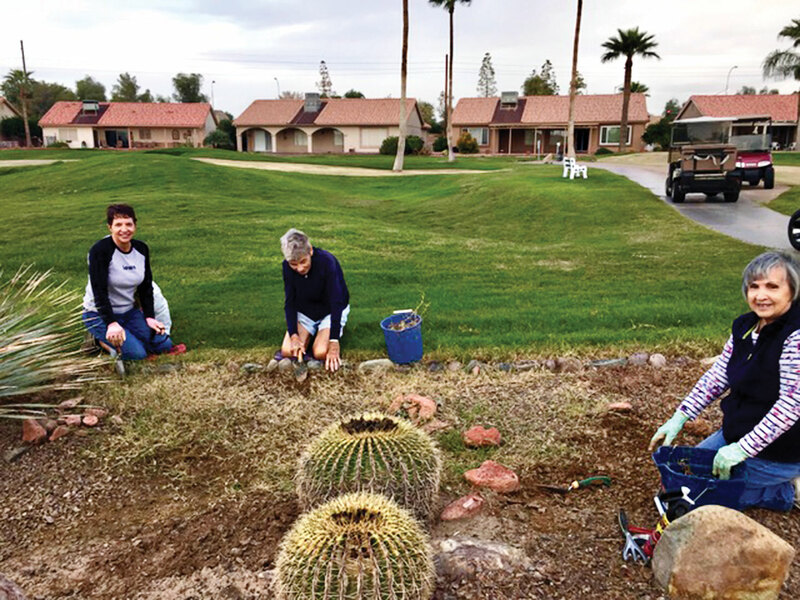 While the golf course was closed in October for reseeding, the weeder gals of the Garden Club got to work (on their knees) to spruce up the gardens on the golf course. Weeds and grass had invaded during the long, hot summer when weeding was not a fun project. We are fortunate in having the help of younger, new-resident weeders. The November 9 meeting speaker was Dr. Joy Summers, a naturopathic physician in Chandler, specializing in natural pain relief. Sad news to relate – a few of our cacti plants have been stolen from pots around the clubhouse. The Garden Club will be glad to share with you. Please do not take. Our annual Home & Garden Tour will be held in March. We are seeking interesting homes. Please call Julie Anderson at 270-799-3700 if you know of a home to be considered. Our· December 14 meeting will be our annual Christmas party – tasty food, fun and games. If you are a new resident, please consider joining the Garden Club.